CORTE MADERA, Calif. June 4, 2013 - NanaWall Systems will be exhibiting at the 2013 Pacific Coast Builders Conference (PCBC) in San Diego this week on June 5th and 6th. 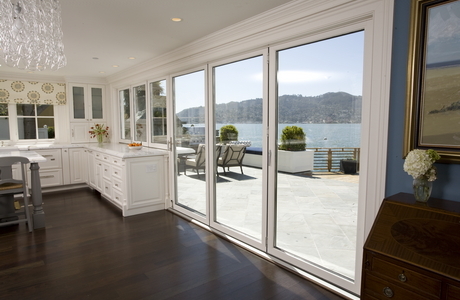 The NanaWall booth (SD-933) will feature its innovative folding glass door product - the Kitchen Transition System. The NanaWall Kitchen Transition System enables homeowners to utilize their existing gourmet kitchen as an instant outdoor space. 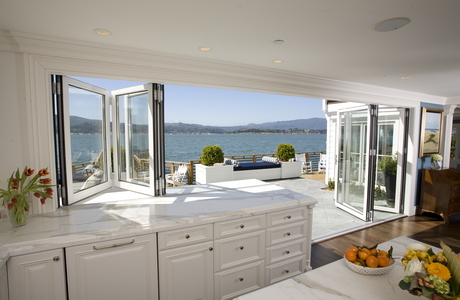 The new window system offers homeowners the ability to create window openings up to 36 feet in length. "At PCBC, we will be showcasing some of the latest opening glass wall innovations," said Ebrahim Nana, CEO of NanaWall Systems. "We are proud to participate in one of the fastest growing tradeshows, where we'll continue to connect with influential developers and builders in the industry." For more than five decades, PCBC has featured the leading manufacturers in the residential building, home technology and green products categories. This year, more than 200 manufacturers, builders, architects, developers, distributors, designers and contractors will attend the event. The two day conference will include educational forums and lectures, networking opportunities and product demonstrations, such as the show's "best of the best" exhibit floor, displaying the most ground-breaking products. PCBC will be held at the San Diego Convention Center located at 111 West Harbor Drive in San Diego, California.